The Swanage Railway Station is a historic railway terminal located in Corfe Castle, Dorset, England, U.K. This photo was submitted by KW. He writes: "The ten-mile branch line of The Swanage Railway from Wareham to Corfe Castle and Swanage was opened in 1885. It was closed by British Rail in 1972 and reopened in 1976, rebuilt and run by dedicated volunteers. 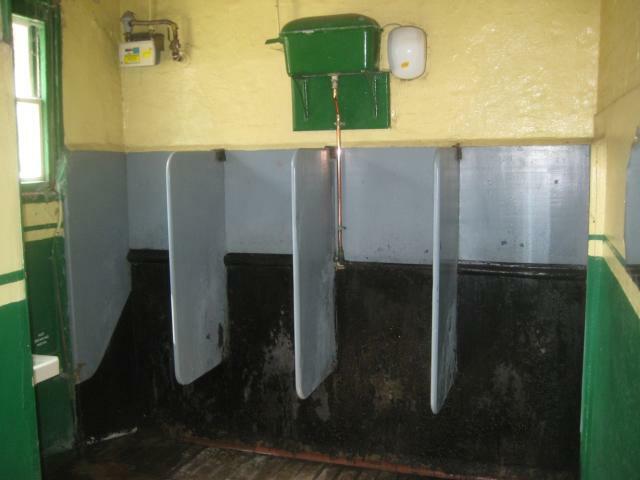 The urinals at the Corfe Castle station might well be originals."